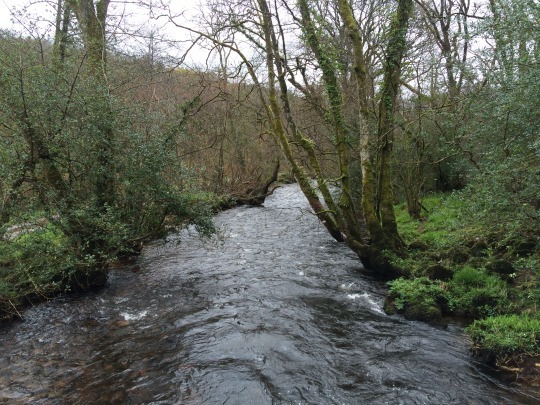 A fantastic place to really stretch your legs, Parke is found just outside Bovey Tracey off the road to Haytor. There is a pay and display car park (£2/day if not NT members). Buses from Exeter to Bovey get you fairly close but you would have to walk on road for a few hundred metres. There is a National Trust information bus stationed in the car park with leaflets, and a large information board at the edge of the car park. The main paths are easy to follow and mostly buggy-friendly, though it gets very muddy and uneven, and there are steps in some places. As well as a perfect bridge for pooh-sticks, when the river isn’t too full there are small ‘beach’ areas that are great for a paddle, and there are no end of places to sit and picnic or play games. 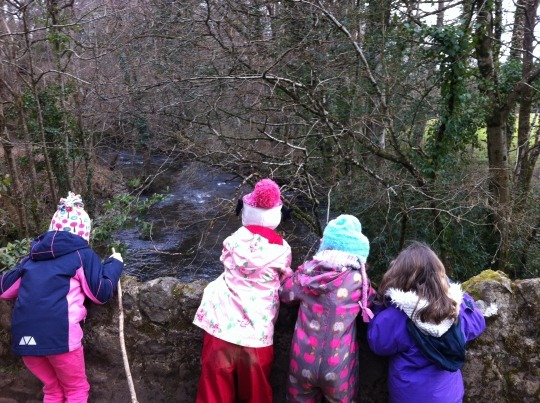 There are lots of ideas for linked activities and worksheets for children available from the Woodland Trust if you want to have a focus for your walk. There are toilets, dog bins and an excellent cafe that’s worth a visit alone. The cakes are amazing if pricey and there are plenty of tables to sit outside if the weather is nice. 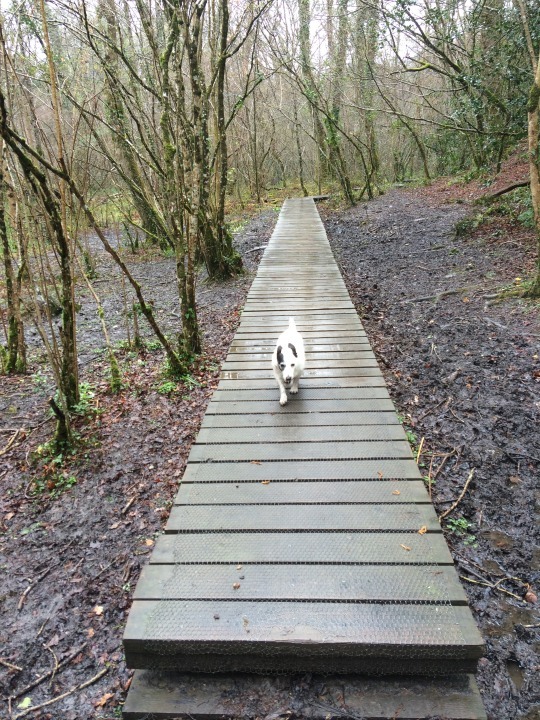 If it’s wet and you have a dog with you there is a separate indoor space so that you can still eat cake before the fairly steep climb back to the car! If you visit on a Sunday then you may coincide with an open session at the Dartmoor Pony Heritage Trust Visitor Centre. 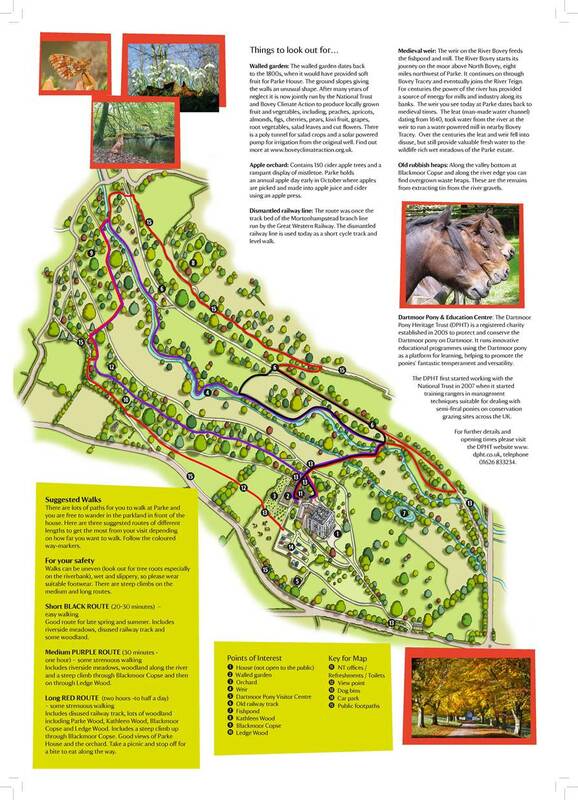 It’s located just outside the NT car park and has activities for children as well as ponies to see. You could combine a walk at Parke with a visit to The House of Marbles in Bovey Tracey, or a visit to Ullacombe Farm Shop.